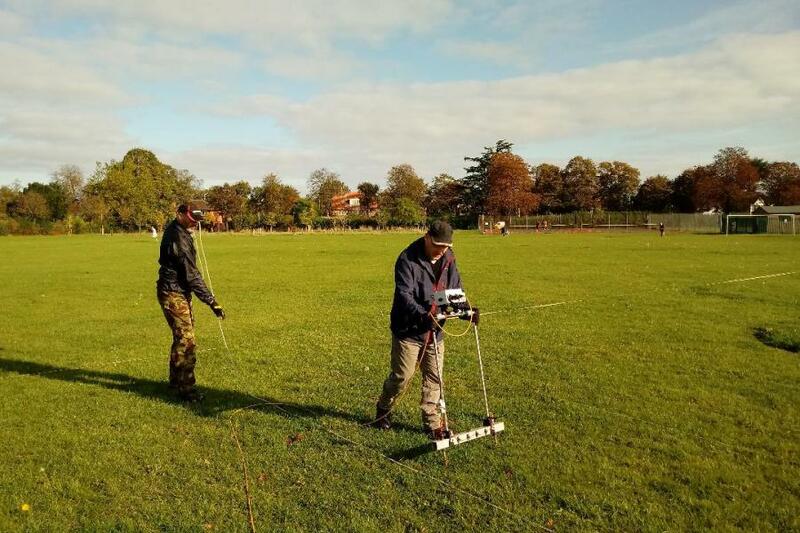 The main objective was to introduce the principles and practicalities of both resistance and magnetometry surveying. By continuing to use a site adjacent to the Fane Road villa it was also hoped that more clues concerning the periphery of both the Romano-British villa and the preceding Iron Age settlement. 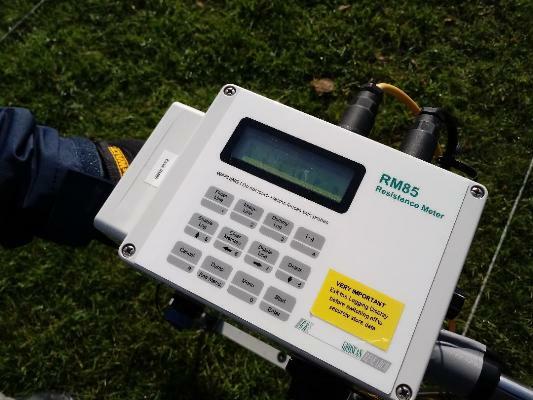 Survey equipment used was the RM85 Resistance Meter, with PA20 Probe Array in a twin-probe configuration, for earth resistance survey and FM265 Single Fluxgate Gradiometer for magnetometry survey (on loan from Jigsaw). 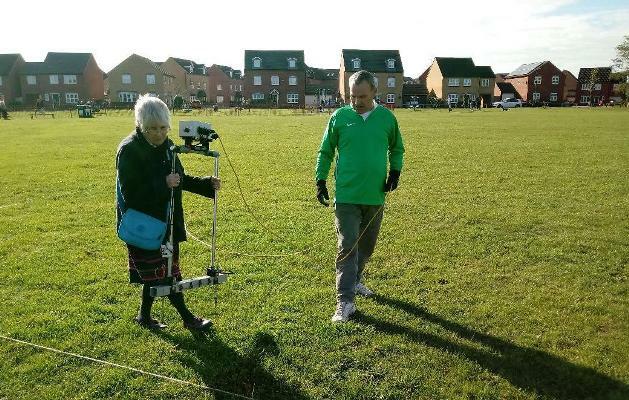 First step was to create the survey grid of 20m x 20m squares – with the help of pythagoras, followed by in-depth perusing of instruction sheets and user manuals. Everybody had a go and speed of surveying soon increased dramatically. We now eagerly await analysis of the results by Kev. We’ll update this post once we have news! No Replies to "Geophsical Survey Training - October 2018"